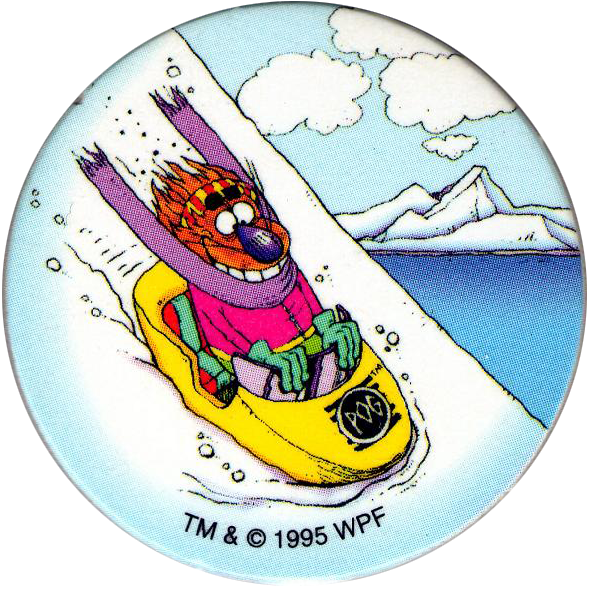 Info:These Pogs were given away with Birds Eye frozen food products. 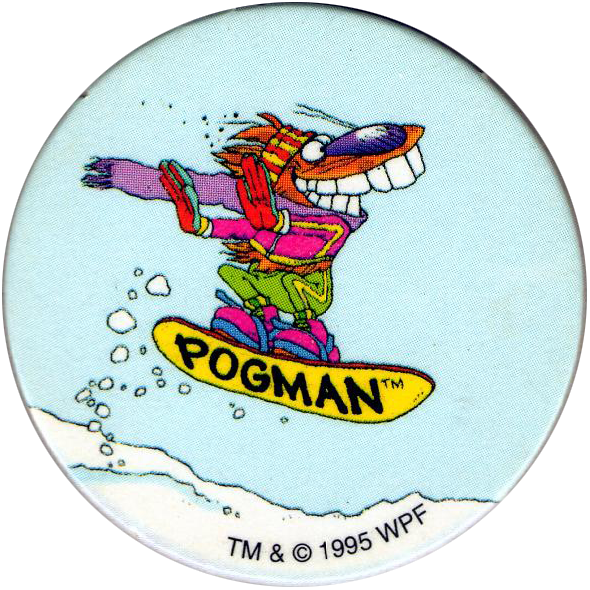 Suitably enough, they feature Pogman in frozen conditions. 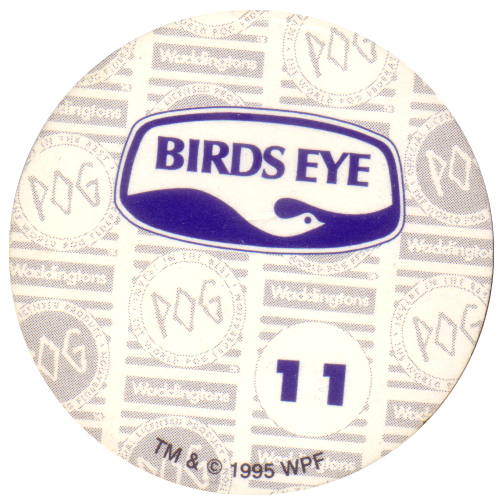 You can see the mini fishcakes box they came in, which includes a checklist, here: World POG Federation (WPF) Birds Eye mini fishcakes box / checklist. 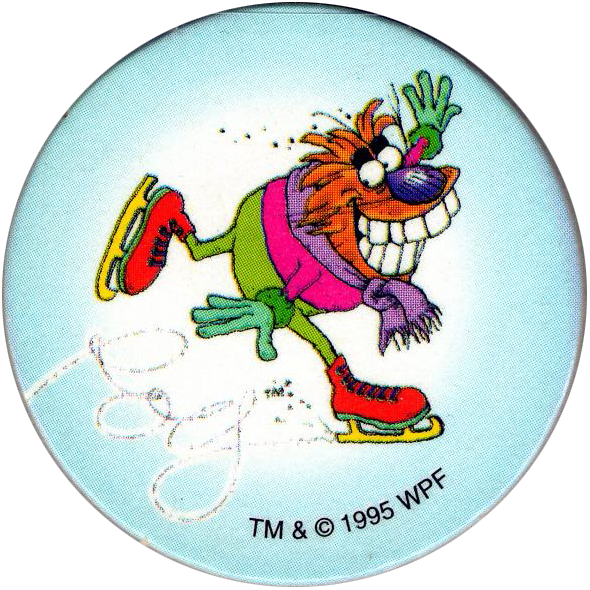 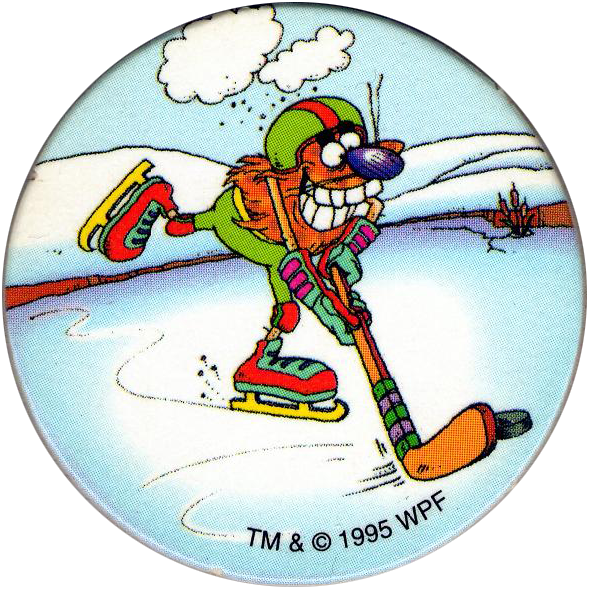 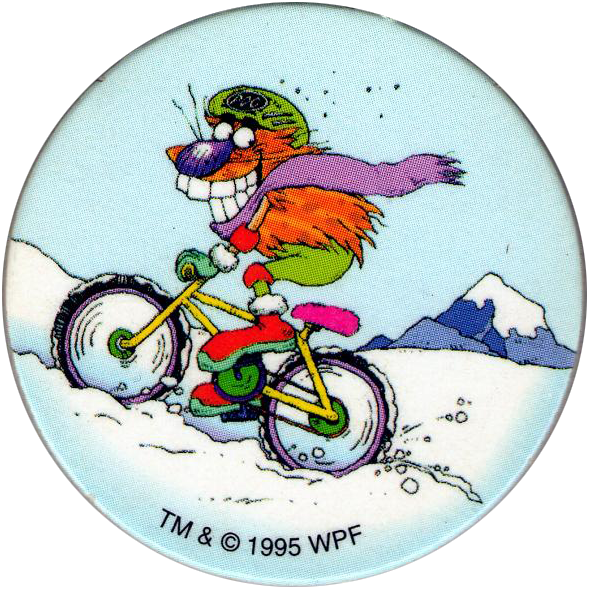 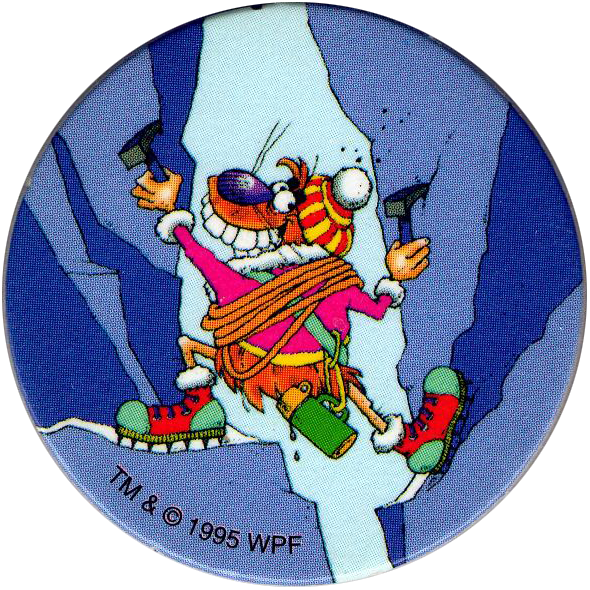 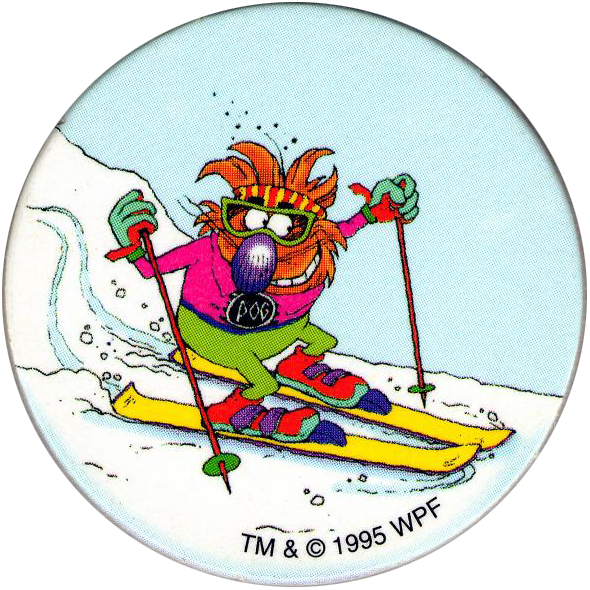 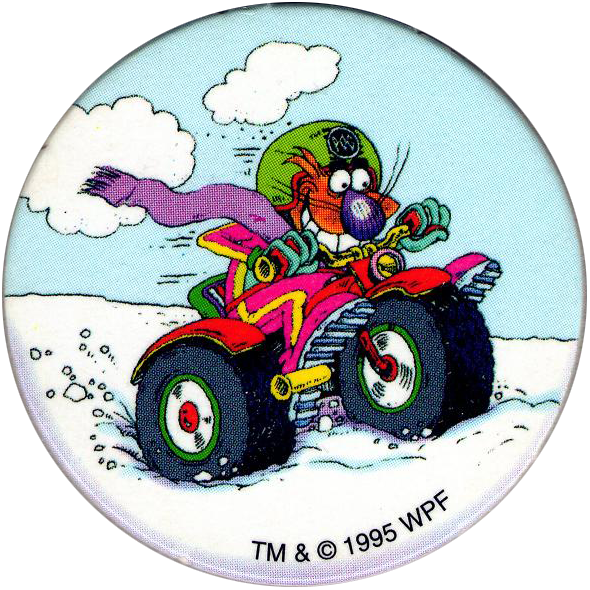 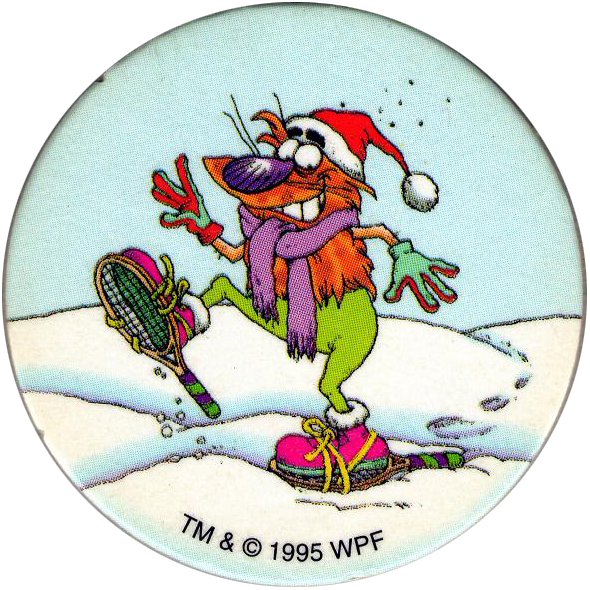 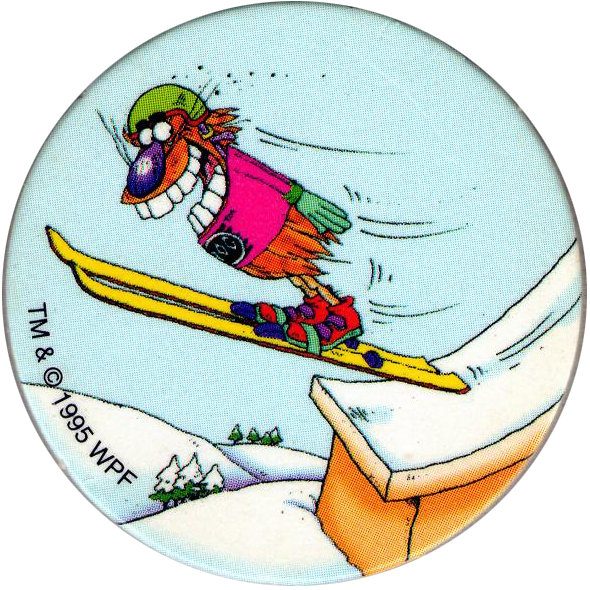 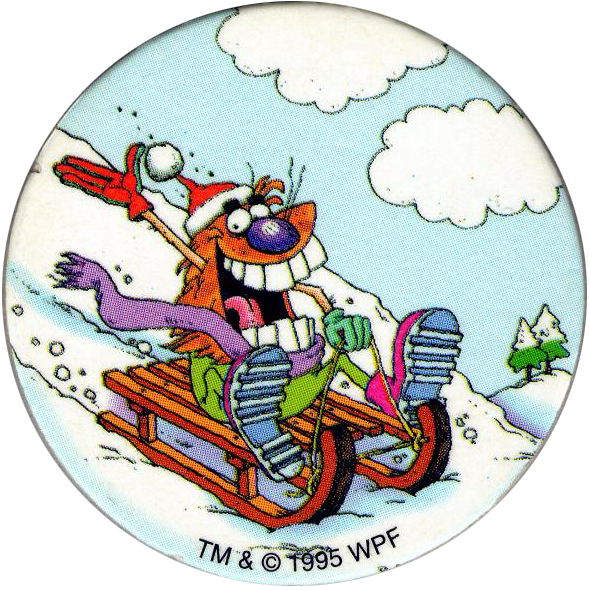 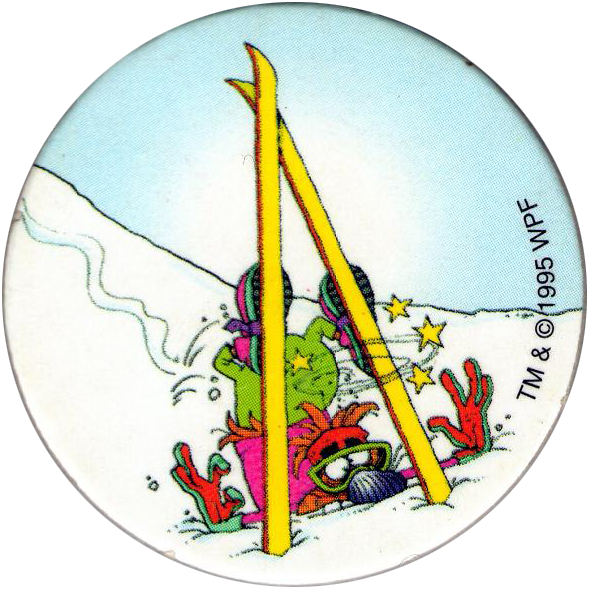 There are 12 pogs in the full set, thanks to Vincent for the scans of the full set below.